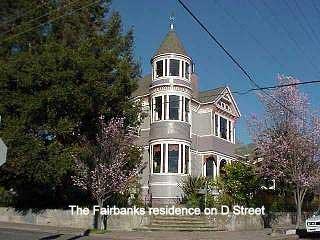 The Queen Anne Victorian house style utterly dominated Victorian residential architecture from 1880 to 1910. It was one of the more ornate and eclectic examples of the Victorian Style and the one that can legitimately be considered as more American than the Gothic, Italianate, or Second Empire styles. 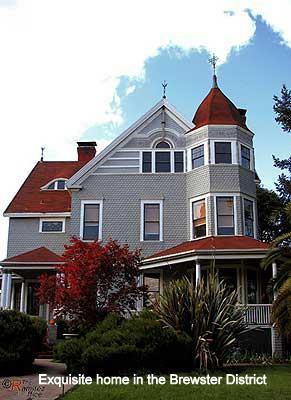 Though its name indicates a borrowing from England, the Queen Anne Victorian did not look to any historic European models for its inspiration. Rather, it is indicative of the ornamental excess made possible by power tools and mass-produced decorative trim work. 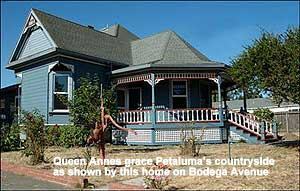 Americans love Queen Annes because they're romantic, exuberant and full of fanciful details. Eclecticism is the keynote of the Queen Anne Style. The style is varied and decoratively rich, with picturesque and asymmetrical silhouettes shaped by turrets, towers, gables, and bays. It was also the form that gave the front porch its social prominence. In addition to all the other decorative elements, the Victorians also painted their Queen Annes in a rainbow of colors. Subsequent generations reverted to the all-white paint scheme that had characterized houses before the Civil War. However when the Colorist movement of the 1960s and 1970s set in, people once again began painting their Victorian houses in rich colors The movement spread, and today, at least in some locales, many Victorian houses sport three or four bright hues.